What piece of furniture in your home is the coziest? Is it your bed? Many would agree that they love to come back home to their cozy and comfortable bed and sometimes, getting out of it feels like the last thing you want to do. However, a bed is not just cozy and comfortable all by itself, it’s made cozy, comfortable and aesthetic with soft, pretty sheets, beautiful pillow cases, a cozy quilt and an elegant headboard. When it comes to your home décor, the smallest elements matter, and it is these small details that ultimately contribute to making your home beautiful. 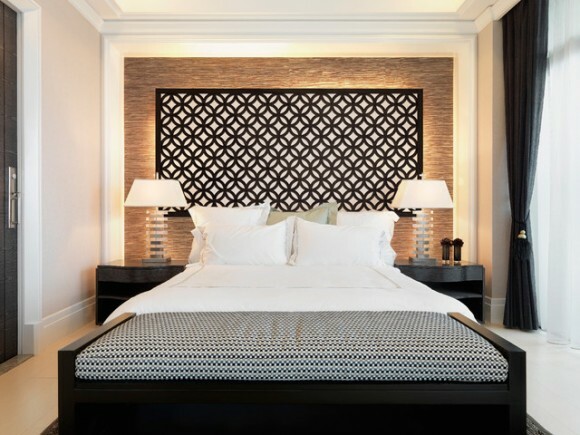 So when you’re choosing a headboard for your bedroom, make sure it’s just right. 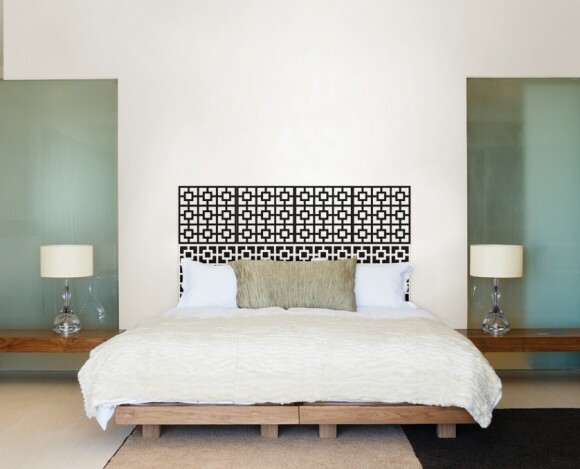 Here are some beautiful headboard ideas for your bedroom. 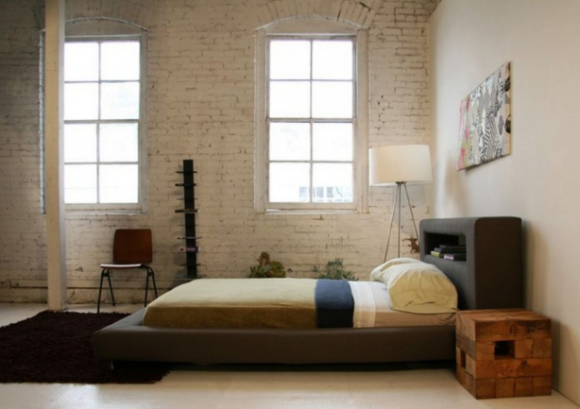 While headboards are usually perceived as “hard” boards, this bedroom begs to differ. Quilted comfort it is! Imagine lying back on this cozy quilted headboard and enjoying your morning cup of steaming hot coffee. 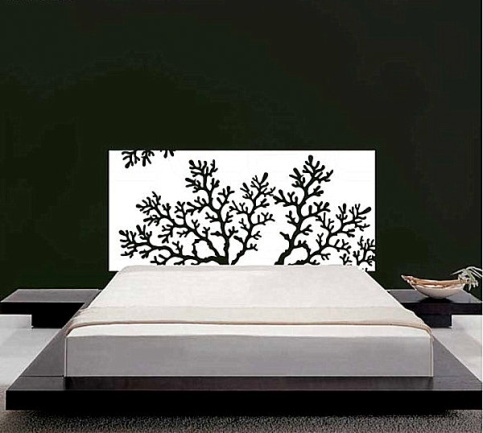 A decal for a headboard… why not? You can get as creative as you’d like to. 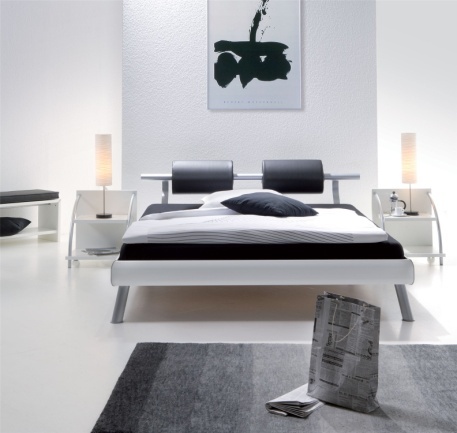 After all, it’s your bedroom and you can amp up the artistic quotient of your space as per your preferences. 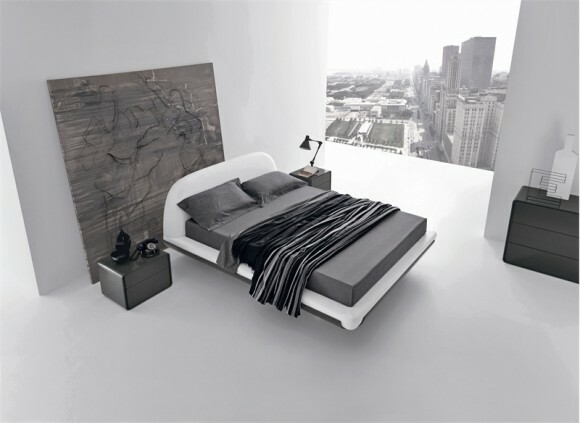 This black and white decal perfectly complements the black and white décor of this bedroom. 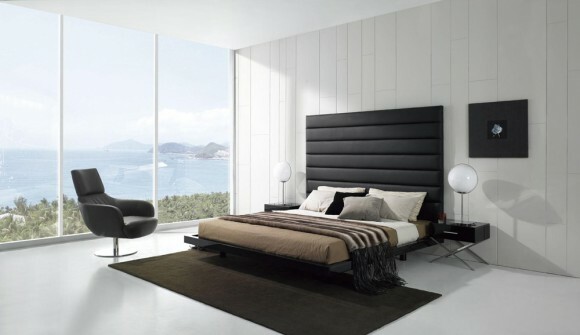 Elegance matters and this bedroom stands testimony to that fact. Sometimes the simplest of elements can magnify the elegance in your space a hundredfold. And here’s some more quilted pleasure. 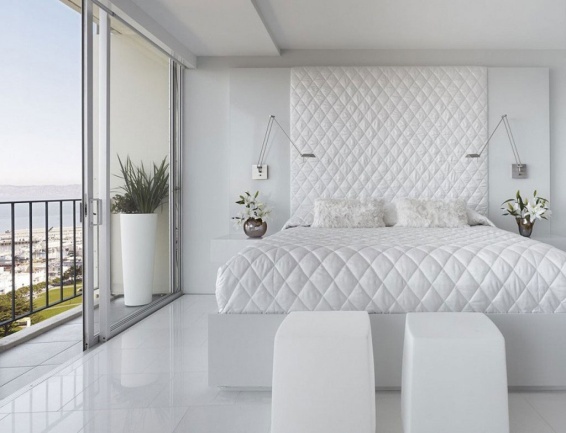 Give your bedroom a heavenly feel with white furnishings and a white headboard, and to add a rustic earthy feel, place some potted plants and flowers on either side of the headboard. Love reading before bed? 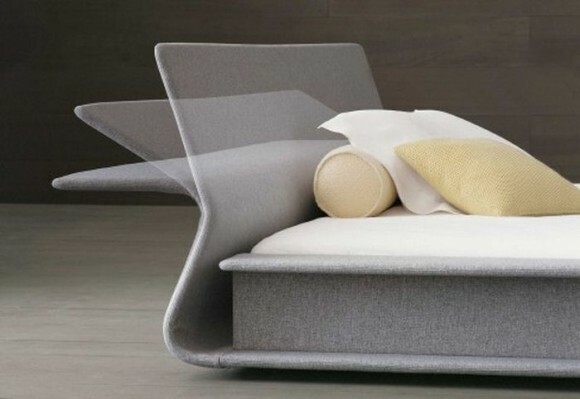 How would you like to have a headboard that doubles up as your personal book shelf? You can now find your books easily before bedtime and you have a smart space to stack it away before you fall asleep without having to get out of bed. Here’s some cozy comfort for two! 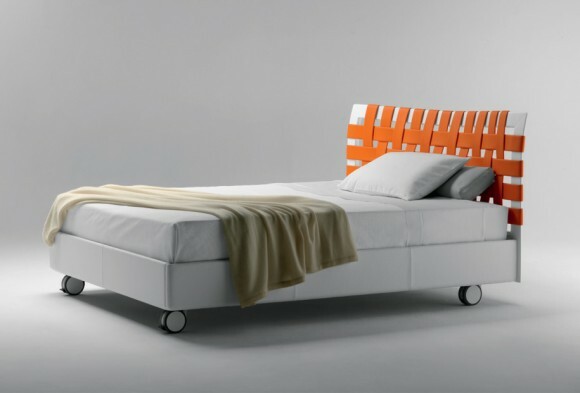 This headboard sets the perfect ambience for those late night conversations with your loved one in bed. Creativity and uniqueness can go a long way in creating the desired ambience in your personal spaces. 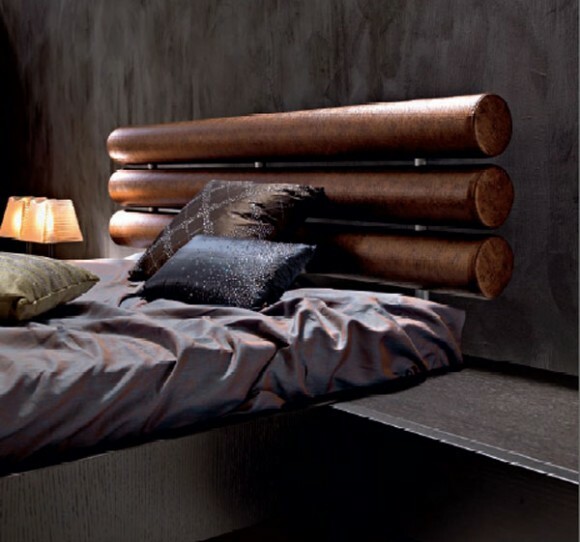 This cylindrical paneled headboard is certainly a curious choice. Surprising; isn’t it… how the smallest home décor elements can make a huge difference to the look and feel of your space!